Kelly is responsible for billing and collections; designing and implementing policy and procedures for patient services; and integrating and orienting new dietitians to LWell. 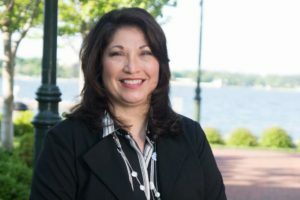 Prior to joining the LWell staff, Kelly served in numerous administrative positions and, most recently, was the front office manager and community outreach director for the Lackey Medical Clinic, which serves low-income and uninsured residents of York County, Greater Williamsburg and the Virginia Peninsula. A graduate of the University of New Mexico, Kelly dedicates her free time to volunteering in the community. She is the co-chair of Elegant Culinary Affaire for Hospice House and Support Care of Williamsburg, a traditional event for attendees to enjoy a five-course meal prepared by the area’s finest chefs with wine pairings and entertainment. All proceeds benefit Hospice House & Support Care of Williamsburg. Kelly is the president of the Greater Williamsburg Kappa Kappa Gamma Alumnae Association, holding an executive position for the past four years and completing a decade as an advisor to the active chapter at the College of William and Mary in Williamsburg, Va. A volunteer at the Lackey Medical Clinic before joining its staff, she also served on the parent board of Walsingham Academy, in Williamsburg, Va.
Kelly believes that volunteering provides a rich experience in community culture that’s led her to meet extraordinary and selfless people. Because she’s so blessed, Cash feels the need to give back whenever she sees it.